Franklin Towne Charter Elementary School is committed to supporting all students in gaining the skills and knowledge they need to be successful. In order to accomplish this goal, all students are expected to attend school daily. Each day a student misses is a lost day of valuable instruction. Even a few days absent will cause a student to fall behind in instruction. 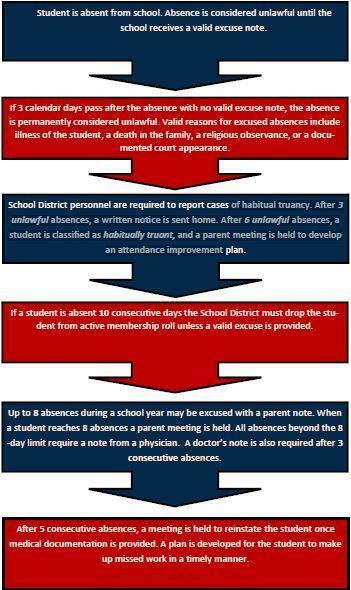 To ensure that parents/guardians provide complete information when submitting notes for their student's absence, FTCES offer this template for convenience. FTCES will accept notes that do not utilize this template, but please remember to include all information required by our attendance policy. If you have any questions regarding our attendance policy, please contact our Guidance Counselors, Michele Gallagher for students whose last names start with the letters A-L and Gina Marie Tortis for students whose names start with the letters M-Z.